As summer comes into full swing, more families around the Mount Kisco area will begin looking for the best summer camps in their area. If your child enjoys playing video games while also learning to use critical thinking skills, then our Minecraft classes may be the perfect opportunity for your child to meet new friends, create new worlds, and experience an unforgettable summer that is sure to provide hours of fun and excitement! In today’s article, we’ll be taking a look at some of the reasons why children in the Mount Kisco area choose Computer Adventures as their summer camp of choice! At Computer Adventures, we not only offer the best Minecraft classes to choose from, but we also provide a wide curriculum of the best computer classes to choose from. With classes such as graphic design and animation to robotics and computer programming, we truly do offer something for everyone. 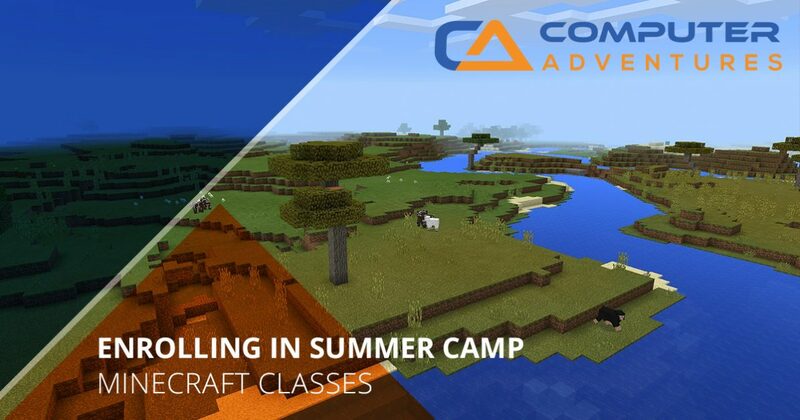 If you are interested in learning why our Minecraft classes are right for your child this summer, then consider reading more on the subject below. One of the first reasons why children love our Minecraft classes is because it allows kids to fully utilize their imagination in order to create something that they could only dream of. During our Minecraft class, we work with children to teach them how to build structures, both small and large alike, many of which are replicated from the Seven Wonders of the World. This requires children to engage by using critical thinking skills while we teach them about historical time periods, locations of each Seven Wonders of the World, and so much more. What makes Minecraft such a popular game is that it is not only entertaining, but it is also incredibly in depth, allowing students to create virtually anything that they could possibly imagine. From tripwires and pressure plates to fully-functional pistons, we’ll teach your child the inner workings involved with creating some of the most technical tools in Minecraft. While Minecraft classes certainly involve fun and games, they also can be the perfect time to introduce your child to the world of programming. Since Minecraft is open for developers to create their own modifications, students will be able to build their own Minecraft world while customizing every feature of the game to their liking! These are just three of the ways that we continue to offer the most exciting and educational Minecraft classes in Mount Kisco. Not to mention, we offer several different Minecraft courses to choose from, so that children of all ages and skill levels can join in on the fun. If you would like to learn more about enrolling in one of our Minecraft classes, or if you would like more information on Computer Adventures as a whole, then don’t hesitate to get in touch with our friendly team today! Finding a summer camp in 2018 for your child can be difficult, but with Computer Adventures, it doesn’t have to be. Contact us today to get started!